Heat oven to 350°F. Shape each dough round into ball; roll in sugar. On ungreased cookie sheets, place balls 2 inches apart. Bake 10 to 14 minutes or until golden brown. 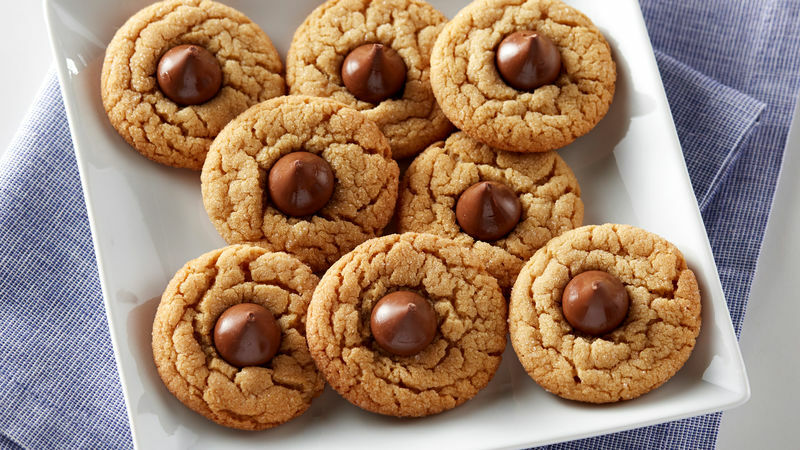 Immediately top each cookie with 1 milk chocolate candy, pressing down firmly so cookies crack around edges. Cool 2 minutes. Remove from cookie sheets to cooling racks. Cool completely before serving, about 20 minutes. Cool at least 2 hours before storing cookies. For added sparkle, use coarse sugar.